Home Cloud Hosting Hostgator Is Hostgator Cloud Hosting the Best Hosting Plan? 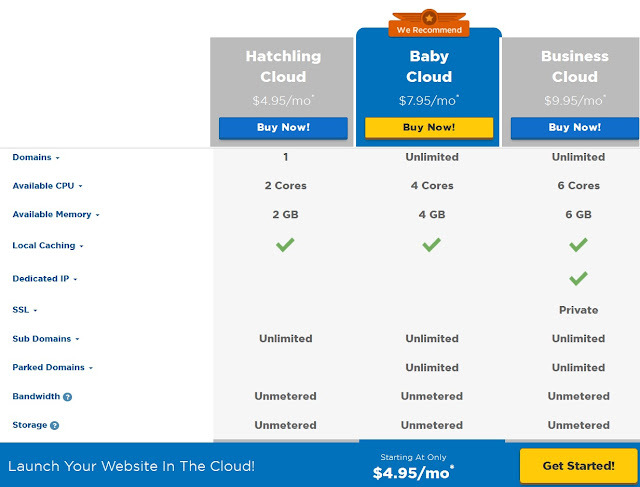 Is Hostgator Cloud Hosting the Best Hosting Plan? One of the latest innovation today when it comes to Host Gator webhosting services is Cloud Hosting. It is the dream for every company or blogger to have the best website. Creating a website today is easy when you choose a good hosting company. Having a hosting account is the first and essential thing we must think of when starting a website. Sometimes, we rush into some cheap webs hosting services which usually end up with your website being hacked or you just being stuck up because you cannot get support from your webhosting company. Hostgator is one of my favourite webhosting company. 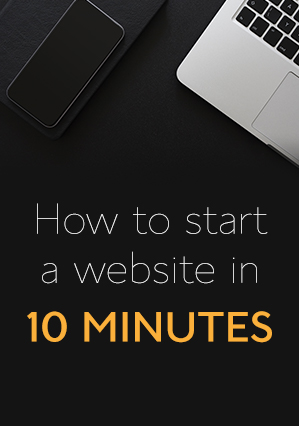 Websites had been a source of blessing in my life and i will always make sure i educate others on how to start and grow their website business. Dear Ransbiz team, Is Hostgator Cloud Hosting the Best Hosting Plan? In this post we will see what Host Gator has to offer when it comes to cloud hosting. At the end , we will conclude if this hosting plan is the best or not. The cloud hosting plan enable clients to run their websites on multiple servers compared to other traditional hosting plans than have their websites on a single server. This allows for server switch if one is'' crowded'' . This is the hosting package created for the next generation websites as it is very fast and reliable. Host Gator offer different hosting plans and package. The most used hosting plan is the Shared hosting plan. Let us see the features which makes this plan an excellent plan. The hostgator cloud hosting services comes with the following features. i. Faster load times : Hostgator cloud hosting Turbocharges your website . The faster load time which is twice the normal hosting plan is as a results of low density servers, multiple caching layers and premium hardware created to meet the needs of clients. ii. Scalable hosting which permit you to migrate data and management high traffic with no worries. iii. An Intuitive Dash Board that permits you to monitor your site perfomance with statistics . iv. Wonderful Cpanel which permits you to create free email accounts, install website scripts, create sud domains and more with one click features. v. Multilpe Servers for your website to prevent your website being down as a result of hard ware failure. Your site is switch to other servers when such an issue arises. vi . Hostgator Cloud hosting helps you to distribute your data across multiple devices to ensure safety and redundancy ,thanks to Data Monitoring that comes with your cloud hosting plan. This gives you an extra security when you are hit by the bad guys. Hatchling Cloud, Baby Cloud and Business Cloud. Let us see more specifications of this hosting plan. 1. This service comes with an integrated caching feature which makes page loading faster. 3. With the cloud hosting plan, your data is distributes copies of your data across multiple devices, ensuing your data is safe. Hostgator generally offers excellent hosting packages and plans. All hosting plans come with applications that can help you build a website with or without coding knowledge. Some of the the applications includes Magneto,Joomla,PHPBB Hosting,Wiki Hosting, Drupal and Word press. Most of these apllication can be Installed fast and easy with the ''Quick Installation service'' available on Hostgator Cpanel. The Cloud web hosting packages comes in three different plans as earlier mentioned. We will examine what is included in each package. The basic plan is suitable for those who want to start a website with a single domain and limited budget. The website package comes with a 2GB memorr, 2 Core CPU starting at 4.95$ per month and discounts from 45% to 60% . The Hatching plan or the basic plan as it is called now equally comes with unmetered bandwidth and unmetered storage in addition to the webhosting features earlier mentioned in a typical hostgator cloud hosting package. The Baby plan equally comes with unmetered bandwidth and storage . This cloud hosting package is very suitable for bloggers and small businesses that plan to expand their services by including more domains and sub domains in their hosting. Hostgator Business Cloud Package( Pro Cloud). The Pro cloud hosting plan(business cloud) comes with unlimited domains ,6GB memory , 6 core CPU, Free SSL and private IP . This package is suitable for businesses that want to integrate ecommerce on their websites. You can packed unlimited domain with this Business plan as in the Baby plan. iii. You can track website performance on a dashboard. iv. All features of the share hosting are also include in the cloud hosting package. v. There is a plus $1 dollar difference in the pricing. Should you I use Cloud Hosting? i. If you have a low budget to run your website then , my response will be''No''. iii. If you have cash and is willing to invest on a website that will bring high traffic then go for Cloud Hosting. With hostgator, you can start on any hosting plan and upgrade as your business grows. That means you can start with the shared package and upgrade to Clouds if business is good. I recommend this option to bloggers. The hosting plan the will provide solutions to your needs is the best Hosting plan so far as you are in the same hosting company. If you want faster load times(2x faster) then go for cloud hosting. Starting with the Baby plan is always good if your are starting a new website. However, you can start with the basic package and upgrade later to the hosting package of your choice. Hostgator offers Discount from 33% to 60 % for most of its hosting packages including the Cloud hotsing packages. If you want to experience faster websites then you can give it a trial by signing up now. Yes it is the best hosting plan because it has additional features and benefits compared to the shared hosting packages. The Plan is a solution to the problems which clients had been complaining off with the shared hosting plan. For anyone who wants 60 percent off , used the coupon Code RMONEY60. 1. Are you using Hostgator? 2. Which hosting plan do your prefer and Why? See you in the comment area. Hostgator Cloud Hosting plan is better for those who started a business and want to show aggression on web with best presence. Otherwise you can buy Baby plan for small business or business start ups. As we all know that Hostgator is one of the top leading hosting service provider in the world. I totally appreciate your effort. Love the blog to read. The hostgator is the world's largest hosting company which Provides every hosting Plan. I take only baby Plan of hostgator. I think Cloud also good for all.